Did you know Pad Man is based on “The Sanitary Man of Sacred Land”, a short story from actor-turned-author Twinkle Khanna’s second book, The Legend of Lakshmi Prasad? Twinkle later teamed up with husband and superstar Akshay Kumar to bring the inspiring story of Arunachalam Muruganantham on the 70mm. Arunachalam is a Tamil Nadu-based social activist who revolutionized the concept of menstrual hygiene in rural India by creating a low-cost sanitary napkin machine for women. In India, the land that boasts of its varied culture and diversity, menstruation is looked down upon as a taboo. Thanks to lack of proper education, the biological phenomenon is strongly guarded by blind-faith and superstitious beliefs which don’t allow a woman on her periods to enter temples, public places and in many cases, her own bedroom that she shares with her husband. But that’s not even a cause of worry here, the major area demanding our concern is that a significant population of females does not use disinfected and hygienic sanitary napkins, instead resort to cheap and unhealthy alternatives like sand, sawdust, ash and cloth. However, Muruganantham was unaware of this monthly cycle and only discovered about it when he got married to Shanthi. Post marriage began the innovator’s attempts to please and protect his newly wedded wife from unhygienic practices. 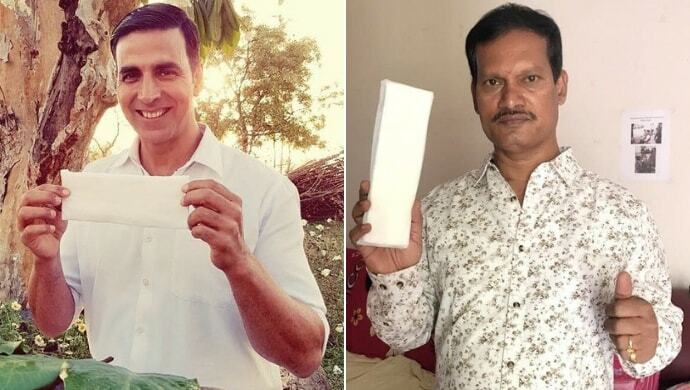 Albeit his invention dates back to years ago, the awareness only came when Akshay Kumar took centre stage as Arunachalam in Pad Man – a title given to the visionary owing to his invention of low-cost sanitary pads making machine. The revolution in the field of menstruation at the hands of Muruganantham came at a rather expensive personal cost. Unable to put the discovery on hold by a month, he reached out to medical students to use his initially made pads. They failed terribly. Arunachalam then tried to test it on himself using a football and goat’s blood. Matters soon snowballed out of his favour – everybody thought he either had lost his plot or was having an affair or worse, suffering from some sexual disease. Shanthi, his wife, wouldn’t approve of his experiments because the society wouldn’t approve of it and left him within one-year-and-a-half of their wedlock. Soon, his own mother followed the clout and in no time Arunachalam was all alone, asked to leave the village he lived in because they believed he was possessed by an evil spirit. It took him two years to find the right material required for his novelty followed by another four years of ‘Trial and Error’ that finally yielded results. In 2006, at IIT Madras his invention won the National Innovation Foundation’s Grassroots Technological Innovations Award which solved his funding for his organization. Having successfully created awareness in the target states of BIMARU – Bihar, Madhya Pradesh, Rajasthan and Uttar Pradesh – Muruganantham now runs a company in Coimbatore in Tamil Nadu that supplies women with sanitary pads in 4,500 villages and provides the technology for his low-cost hygiene products to 19 other countries. With the backing of Jayashree Industries, there are about 4500 sanitary pad making factories operating pan-India. India’s Menstrual Man was placed by TIME magazine on the list of 100 Most Influential People In The World and also bestowed upon with a Padma Shri in 2016. He and his wife are now a unit stronger than ever! 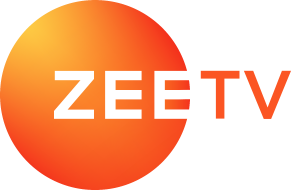 Keep the entertainment going with the latest Bollywood films, streaming on ZEE5.